With all the different tests being conducted, an effort to standardize forage testing has been encouraged. Hay is the forage most often bought and sold so national standards have been suggested. Alfalfa hay is the most common type and the U.S. Alfalfa Hay Test has been developed to precisely express feed value. This includes uniform sampling, testing, and reporting methods to faciliate marketing and ration formulation. California developed a test in 1958 for modified crude fiber (MCF). The MCF score predicts the total digestible nutrients (TDN) with good accuracy, (r = .89). In the late 1960's Nevada developed a system for predicting digestible energy using CP and ADF. This led to grades for alfalfa hay. In 1976, a task force composed of the American Forage and Grassland Council (AFGC) and University and Federal Research and Extension personnel developed a forage evaluation system based on chemical analyses that closely approached actual feeding trials in determining the feeding value of hay. Five hay grades and one sample grade for all legumes and grasses were developed. They include the relative feed value, CP, NDF, and ADF. The proposed grades were not adopted by the Federal Grain Inspection Service due to mixed industry support. In 1980 a group of western scientists and later in 1982, a national group met and a U.S. Hay Quality steering committee was established. This group included research, extension, and commercial interests. They were called the National Hay Test Committee. In 1983, a common standard was accepted by this group which included acid detergent fiber (ADF), used for estimated digestible dry matter (EDDM), crude protein (CP), and dry matter (DM). This was called the U.S. Alfalfa Hay Test. Not content to wait for national standards to be approved after the 1976 proposal by the AFGC, Oregon, Idaho, and Washington initiated research and extension projects to move toward regional standards. The Oregon Hay Growers Association (OHGA) supported research at the Klamath Experiment Station and encouraged educational programs of the Extension service. As a result of some of that work, an AES ????? publicaton was prepared and distributed on "Alfalfa Hay Quality in Oregon". In 1982 a Tri-State Alfalfa Colition was formed to facilitate uniformity within the Pacific Northwest (PNW), with individual state hay grower associations supporting the project. This effort inititated a Tri-State Alfalfa Hay Test and Refernce Sample Program finding support from the majority of laboratories testing alfalfa. The PNW effort in the Check Sample Analysis Program ?????? ?has formed the basis of the national Laboratory Certfication Program with two northwest commercial laboratories, Bar Diamond in Parma, Idaho and Northwest Ag. in Culver, Oregon providing essential support for the program. The Check Sample Progam was used to encourage uniform methods of analysis and reporting. A western region research project was initiated in 1981 between California and Nevada to examine different methods of evaluating forage quality. This effort was expanded to a Western Region Coordinating Committee involving all western states and has now been approved as a regional research project. This involves funding and cooperation from the various western region experiment stations. These projects will help us to improve our ability to predict hay quality based on chemical analysis information. 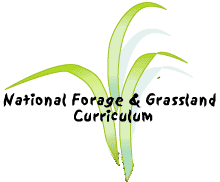 Other areas may have similar efforts to standardize the testing of forages. A wise forage-livestock manager should be aware of how testing is done, what the results really mean, and how they compare with other states and areas.